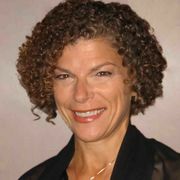 Debbie Eisenberg Merion, MSW, MFA founded Essay Coaching (www.essaycoaching.com) in 2005 to show students how to write a compelling and successful college essay. Her techniques combine her experience in counseling, teaching college English, and over 20 years of professional writing as an award-winning journalist and essayist. Her “secret sauce” is her ability to stay upbeat and positive. She uses humor to reduce stress, and shares her creativity and writing experience for the benefit of all of her students.